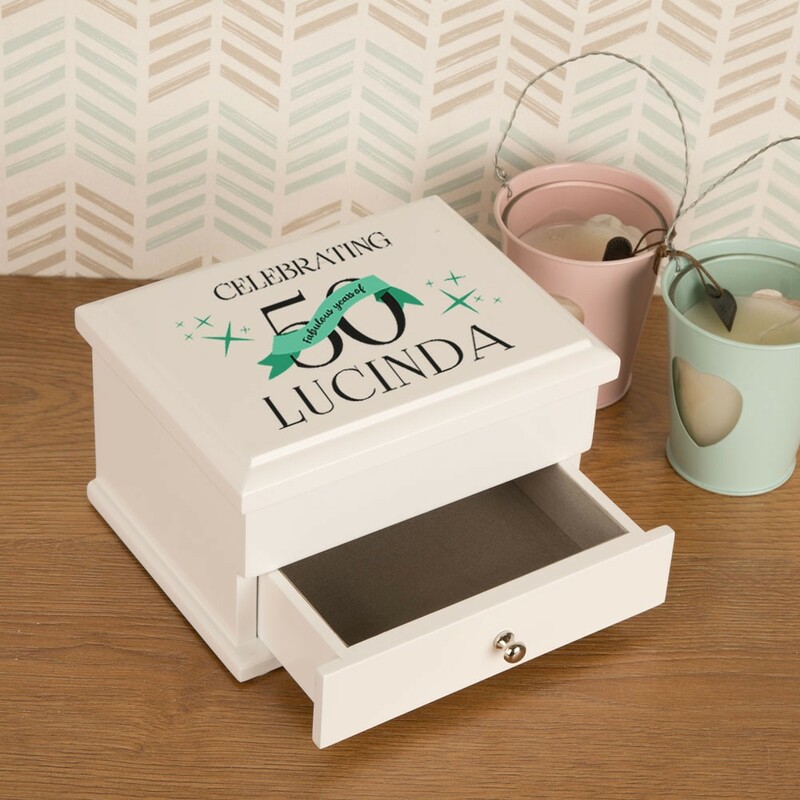 A 50th Birthday is one of those landmark Birthday's where a little more thought for the gifting occasion can go a long way towards a great response from the special woman in your life who is celebrating her 50th. 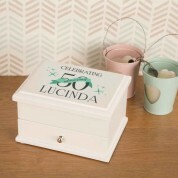 This jewellery box is far from "run of the mill" and stands out as a quality jewellery box from first glance. 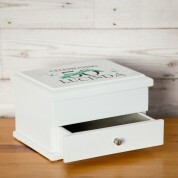 The inside is lined throughout and as you can see from the images it has a ring tray with room for other trinkets as well as a pull out drawer. 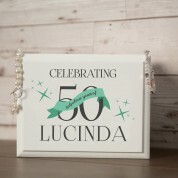 The design is themed for the special 50th celebration and is personalised with the lucky recipient's first name. 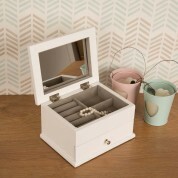 Made from wood it weighs over 1KG and measures approx 18cm in Length, 14cm in Depth and 11cm in height.